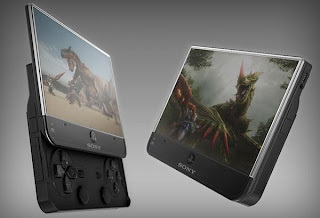 Posted byfycadmin	 May 20, 2009 Leave a comment on The Mill: Revamped PSP and PS3 Before Year’s End? Slim is definitely back in and from what I hear, according to my sources, Sony is cutting the fat reportedly by year’s end in two ways. There have been rumblings and actual images snapped of a new slimmer PS3 in the works as well as a complete redesign of the PSP. The latter should be out in the fall. I wouldn’t get rid of your current PSPs just yet in anticipation though. Rumor has it the new PSP will NOT support UMD discs. You heard me right, all the current PSP titles you own may possibly be worthless and unplayable on the new hardware. Not sure if this would be the smartest move on Sony’s part, then again I’m not sure where their heads have been in the last 2.5 years IMHO…six-axis control anyone? 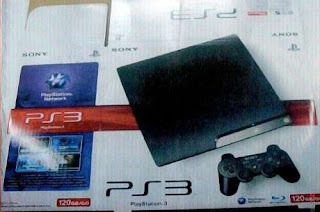 There haven’t been any sightings just yet but across the waters already there have been some sightings of the new PS3 in factory development and even quite possibly the packaging for shipment. My gut tells me they may try to have this out by the time God of War 3 drops and possibly bundle it in. When it comes to a revamped Ps3 though, many burning questions come to my mind as I’m sure to the mind(s) of several PS3 owners. Will this system re-allow backward compatibility again that was removed without mention (to the consumer) from PS3s produced after Winter’07…sneaky. Will there be some sort of new motion technology-type controller to once again combat the Wii’s…please Sony, no. Price drop maybe? And alas, will it not take frakin’ 20-30 mins just for a system update (including when you by a new game that requires it)!!! Yes yes I know, that’s probably a server issue and has nothing to do with the actual hardware, but still, I know you feel me. Don’t get me wrong I love my PS3 for its exclusives (not Lair), but my 360 definitely gets more love these days. Here are some images we were able to come up with to feed your need. Keep checking this site for more updates on this topic or join one of our feeds. We are closely watching what develops there yonder in the land of rising sun.